This is a very back dated post! 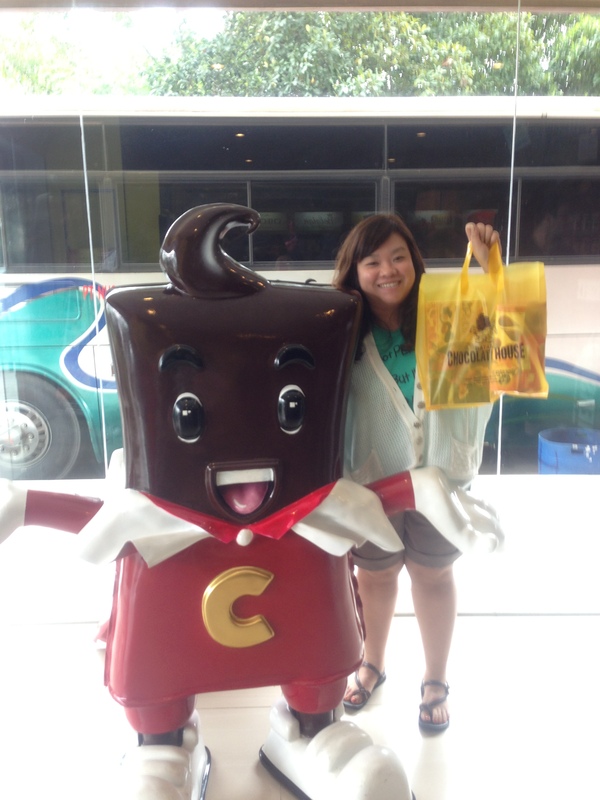 I was so so inspired to share my Batam getaway after reading Mitsueki’s post about her Batam trip! 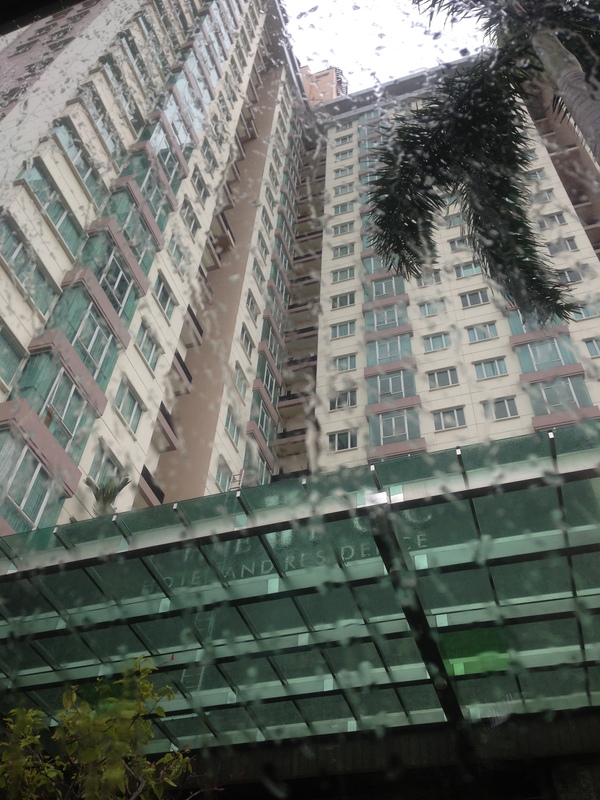 We stayed at the same area but different hotel! Gideon is a new hotel around there while BCC is almost a year or 2 year older. 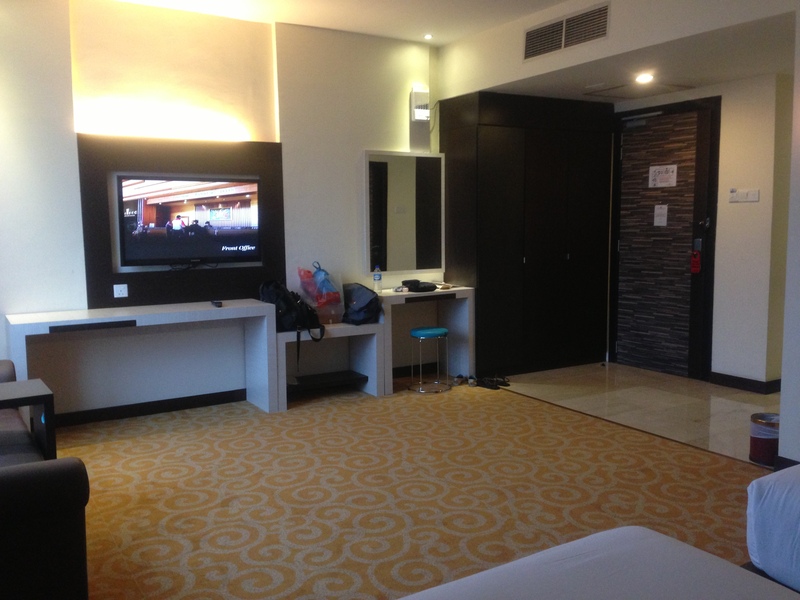 In my previous post, I shared about BCC hotel but not much about the deal’s one day tour. Today, I’m gonna share my whole trip with you! 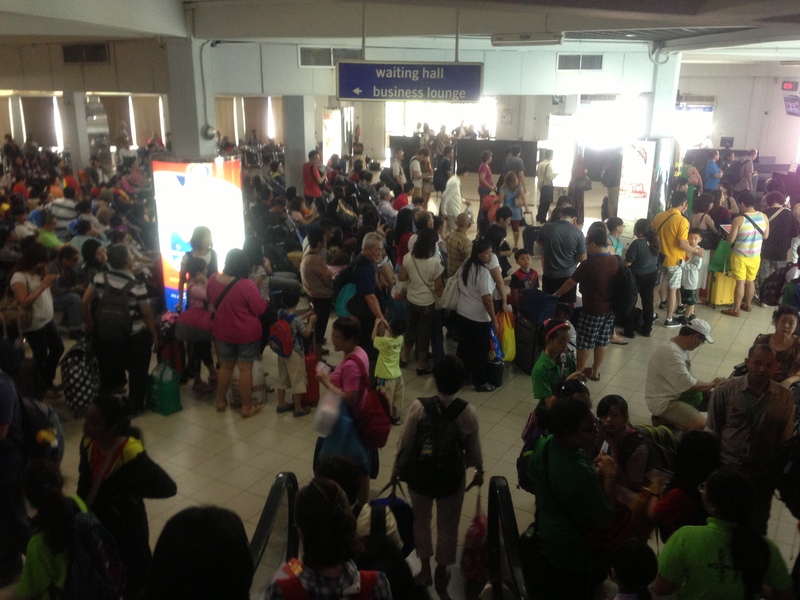 Finally the long awaited Batam trip with my mom is over (First day of school holiday is no joke at the ferry terminal..)!!! Waiting to hop on our 8:50am ferry by WaveMaster to Sekupang International Ferry Terminal (SIFT)! SO our first stop? POLO RALPH LAUREN!! 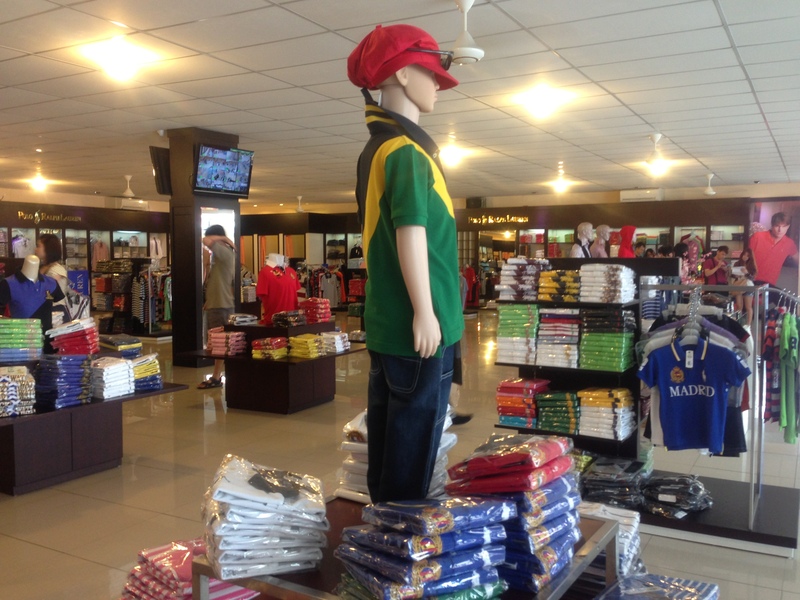 This was the third time I stepped into a PRL shop so nothing really interest me by now.. I’m not a polo fan hence I’m not too sure if the price are really that competitive..
Our tour guide shared with us the difference between the POLO we saw at the ferry terminal and this POLO. You wanna know the diff? The POLO at ferry terminal are local POLO. The color runs, the collar gets out of shape, the sleeve gets shorter & shorter (or longer & longer).. The POLO that tour guide brought us to is the international POLO, POLO RALPH LAUREN. Color don’t run, collar is still collar, sleeve length stays the same. Very soon, our group hopped back onto the tour bus and headed to our next destination, Diana Homemade Layer Cake! The only flavors they have here is Prune & Original. If you want more, tell your local guide. He might bring you to some where else to get it. One of our group member wanted cheese flavor cake so the guide actually noted that and later brought us to another place where that are even more flavors! The shop (or should I say the house??) is located within a residential area. You know you are near when you can smell a mild fragrance! While tasting the sampler, you can actually see how layer cakes are done! IMO, the sampler are not very fantastic but we still bought 2 boxes of original. It’s so cheap you would not want to miss it!! S$25 for a box original, why not!? Haha.. freshly baked and delivered to our hotel before we leave! Orders are usually taken by your local guide when you’re back on the bus. 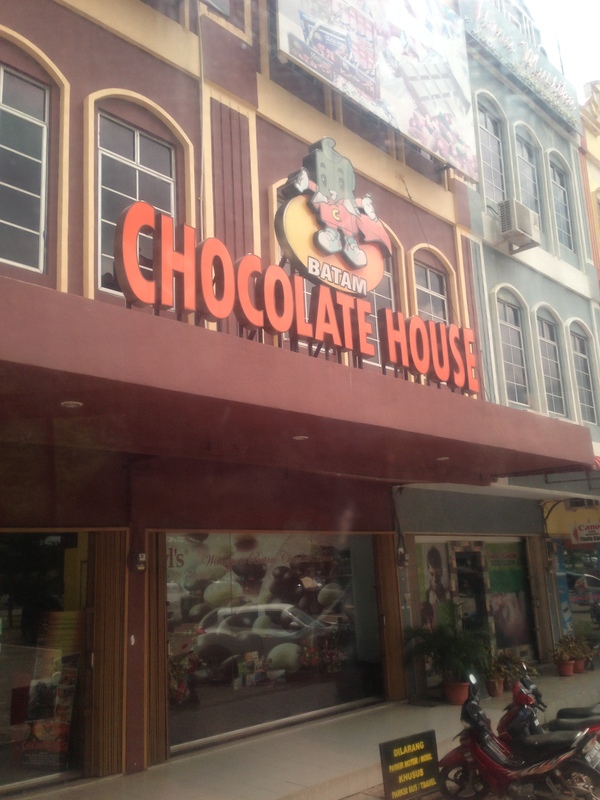 The shop don’t take direct order..
Batam Chocolate House is one of the place I’ve wanted to visit! Not to buy chocolate but to see how their chocolate outlet looks like!! Well…. nothing to amazing. It’s too crowded! 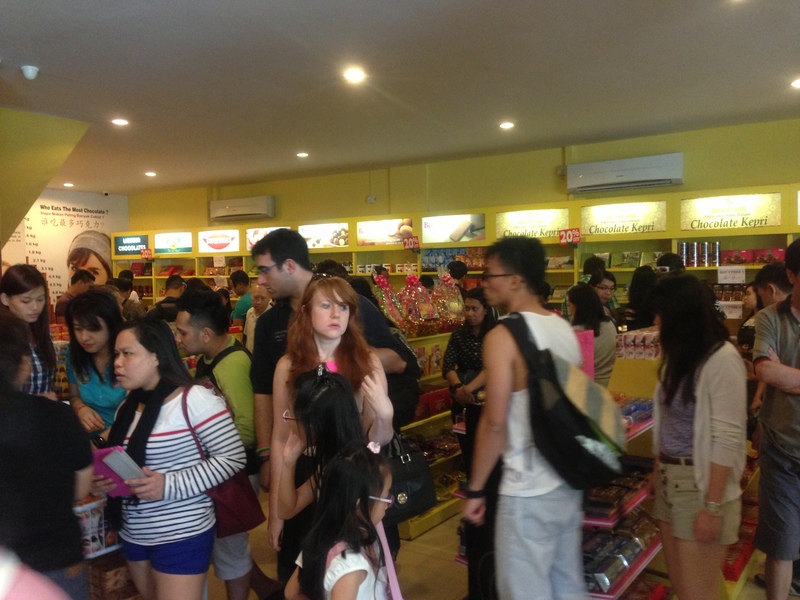 Everyone busy grabbing the chocolates they want! Some are “Ferrero Rocher” look alike.. some are local brand.. Some are owner’s own creation. Just before our bus leave, I saw a familiar face! The local guide who brought us (me & my friend) around when we joined our first day tour! I can only wave but not say hello because I’m already on the bus. Heading to the next location Golden Prawn 933 Live Seafood Restaurant for lunch and some supermarket shopping! 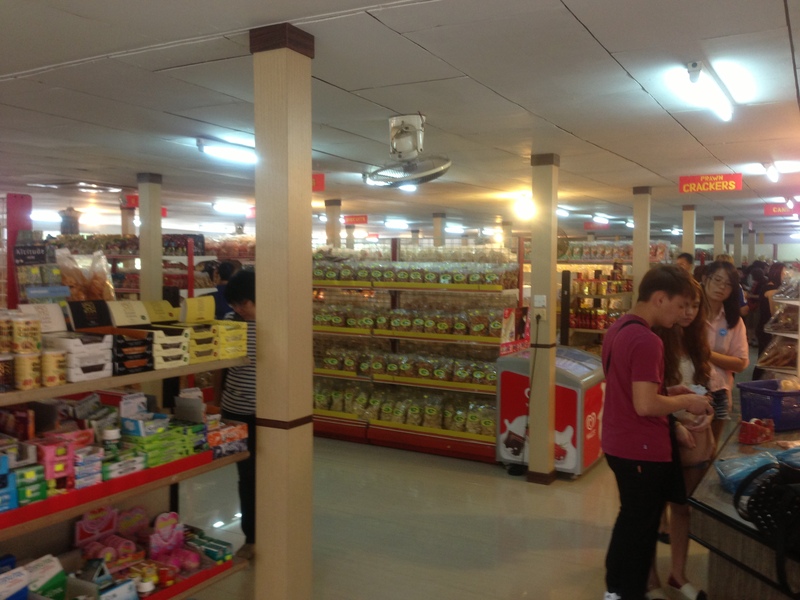 The local guide recommended the supermarket’s coffee powder and pepper! Say until like it’s a must buy! So… since the pepper is still affordable, we bought a packet! Things here are generally NOT cheap but still cheaper than SG. 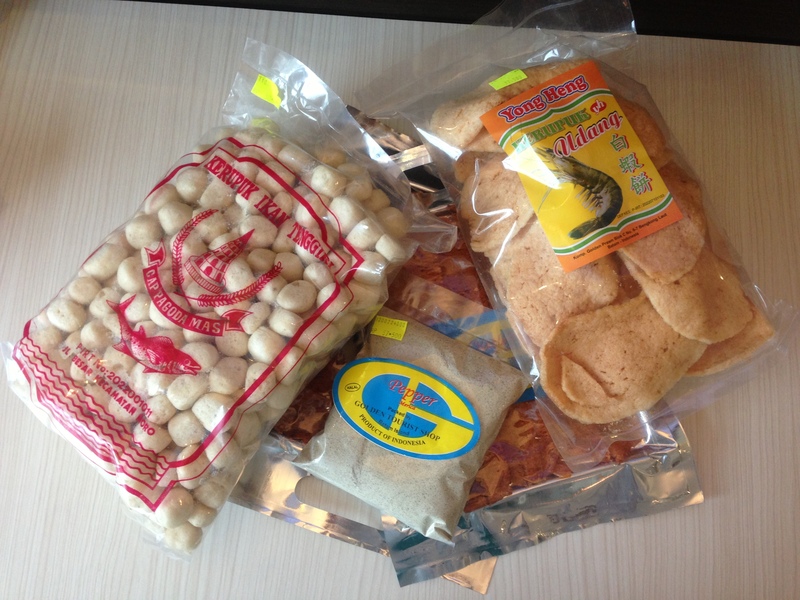 Keropok/Snacks are like S$3-5 per packet depending what you’re getting. The restaurant is just next door and nothing too fantastic too. Batam tour lunch are quite standard. 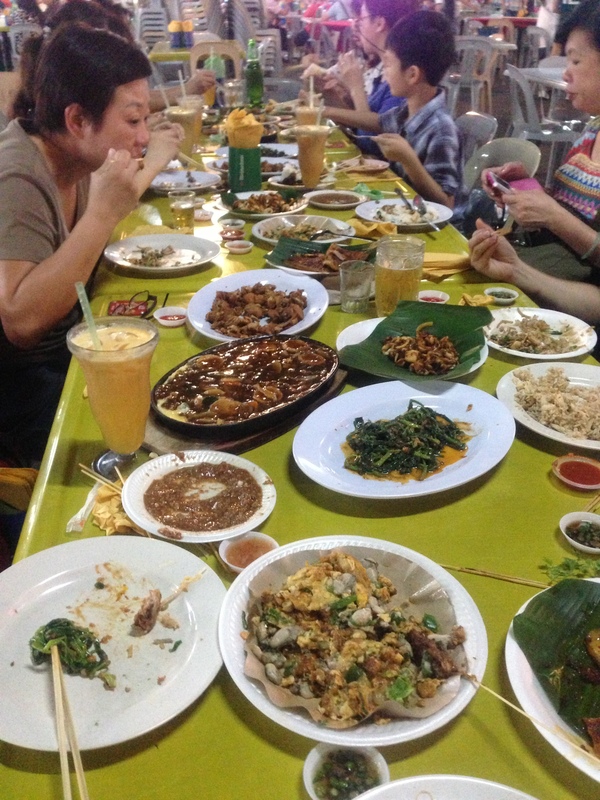 A soup, a fish, veg, crab, sotong (we had calamari! yummy! ), steam conch (aka gong gong) & prawns! A bowl of bird nest! 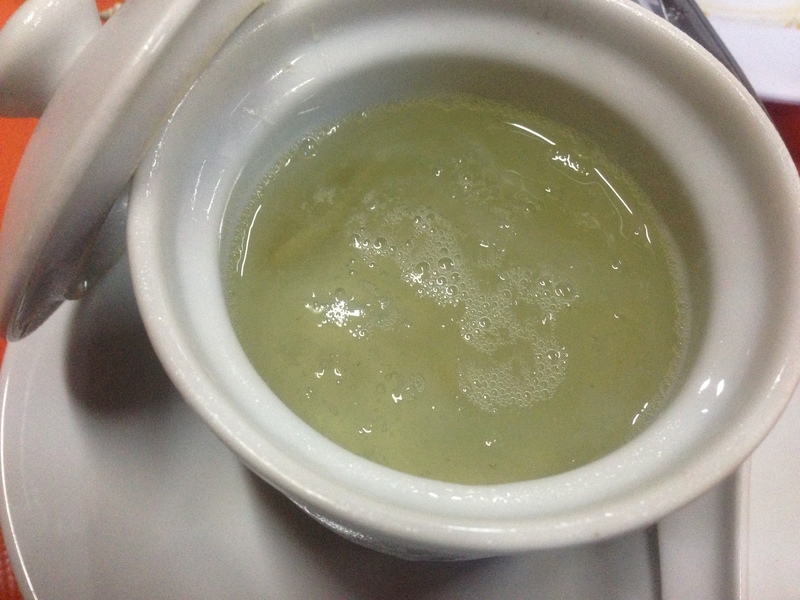 ….. seriously it taste more like shredded gelatin dessert soup. So as I was saying.. 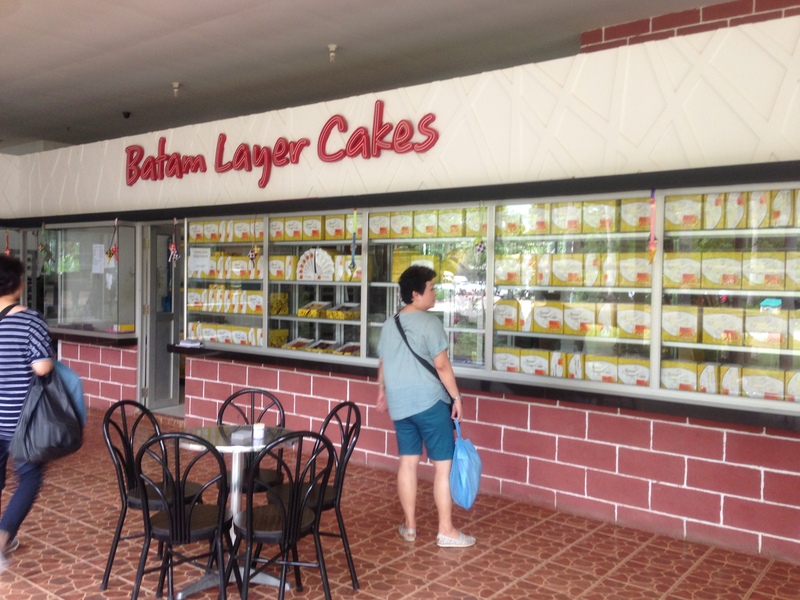 The local guide noted our layer cake request and pointed out that we can get our cheese flavor here! This shop is just few steps away from the restaurant (within the Golden Prawn area). They have plenty of flavors! Cheese, Mocha, Prune, Original, Matcha(?? ), Tiramisu (??).. The sampler here taste better! LOL.. But we didn’t order from here as we didn’t wanted to take too much stuff back to SG. 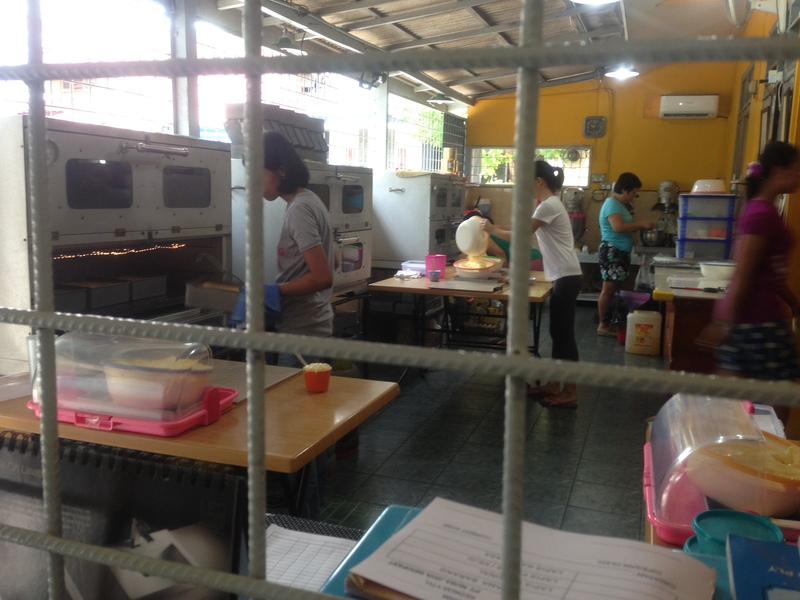 So when our group were all done with lunch, the tour guide brought us to this factory outlet which is just 1-2 min drive away… BTW, did I mention, all the stops are very near! VERY NEAR!! Probably just a 2-3 mins drive and you will need to alight again. To the extend, we actually stayed in the bus for the next few stops (we skipped the otah-otah shop, local cultural dance & some souvenir shop)..
We were given 20-30 mins here and then we proceed to the next location! Dry market ~~ This is one of the place my mom was anticipating! She wanna buy dry food such as ikan bilis, salted fish, dried shrimps, etc! 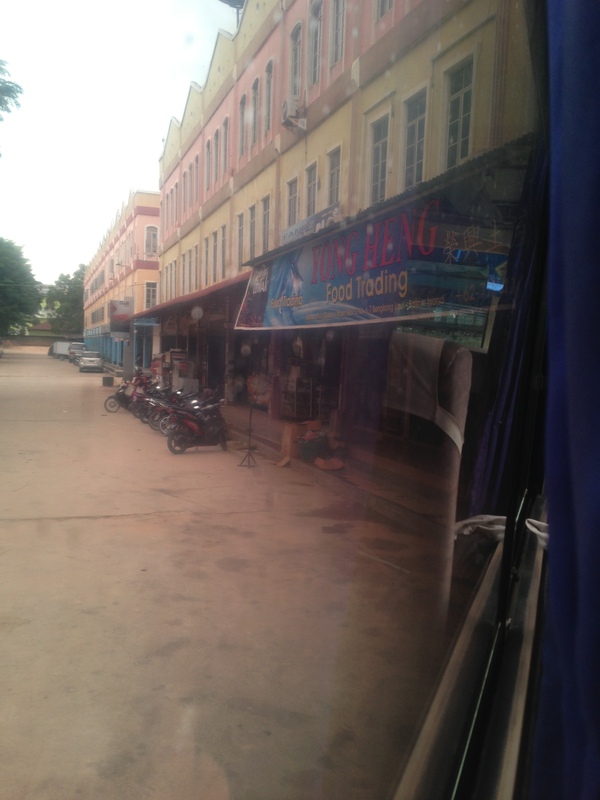 I stayed in the bus for this stop as I’m having the after-lunch syndrome – SLEEPLY zzz! Not forgetting to mention, there is a juice stall beside Yong Heng and I think they’re famous for their Avocado juice. I thought it was pretty disgusting.. but my mom and some other group members love it. I just don’t know how to appreciate AVOCADO~! After all the eating/shopping, we are now heading to a temple! 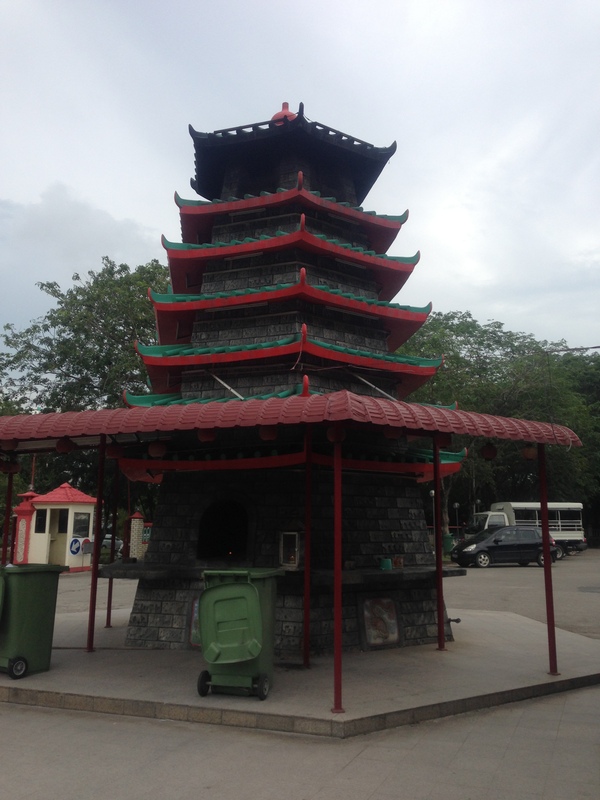 This is the landmark of Chinatown Batam! 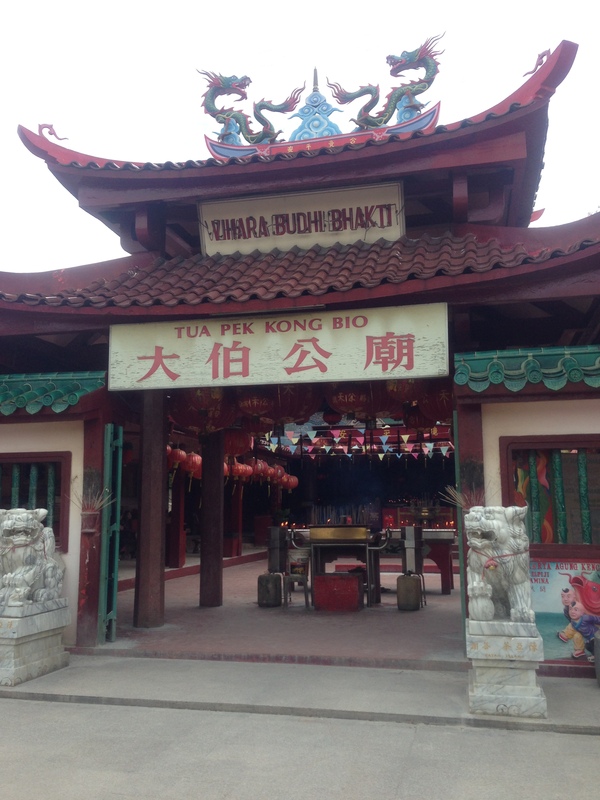 Tua Pek Kong Temple is the oldest Batam Chinese temple. You see this tiles on the right of below pic? Temple is in the midst of preparing for revamp.. We can actually go to one of the staff and let them know we want to make a donation and you name will be written on the tiles for prayer (something like that). 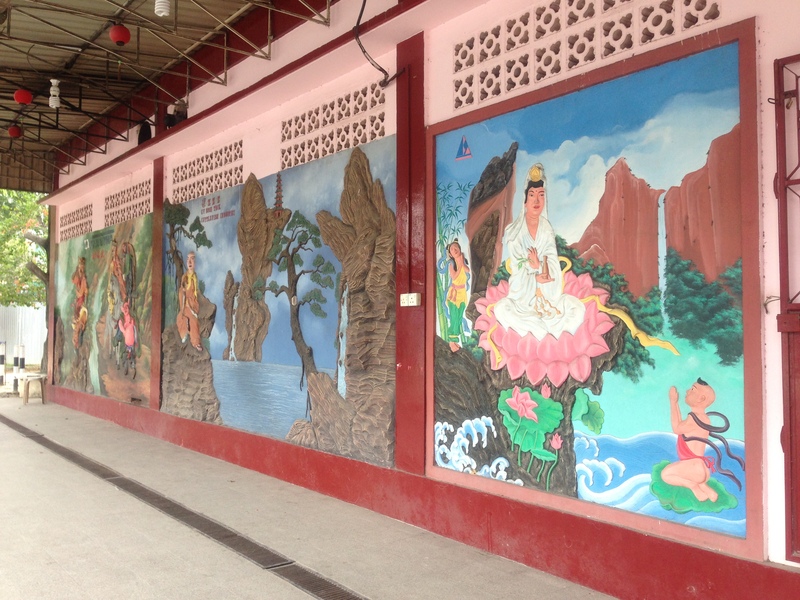 Along the wall, there are also some interesting 3D drawings! I suppose they meant something just that I don’t know what is it about.. Finally it’s almost the end of the day! We are reaching our 2nd last destination! 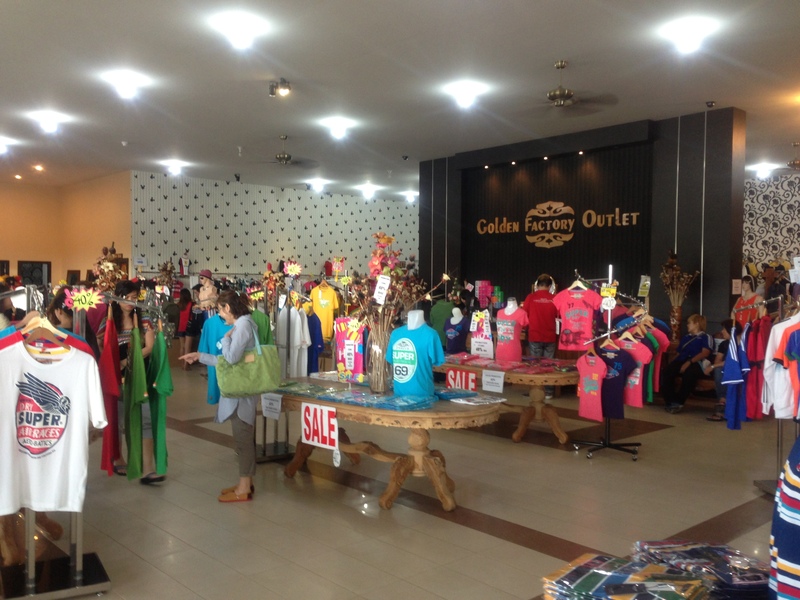 The Batik Outlet! 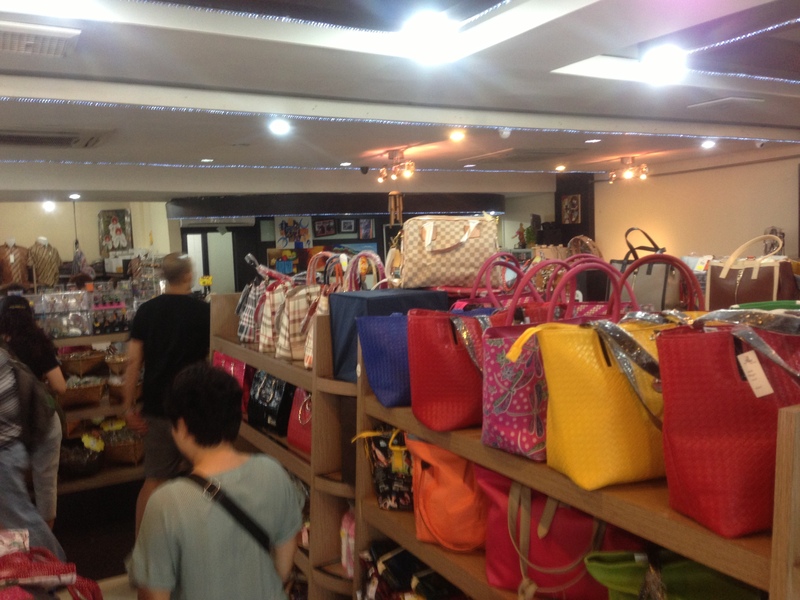 This is a small shop cramped with LOTS & LOTS of bags, clothes, toy & etc! I saw my idol!! 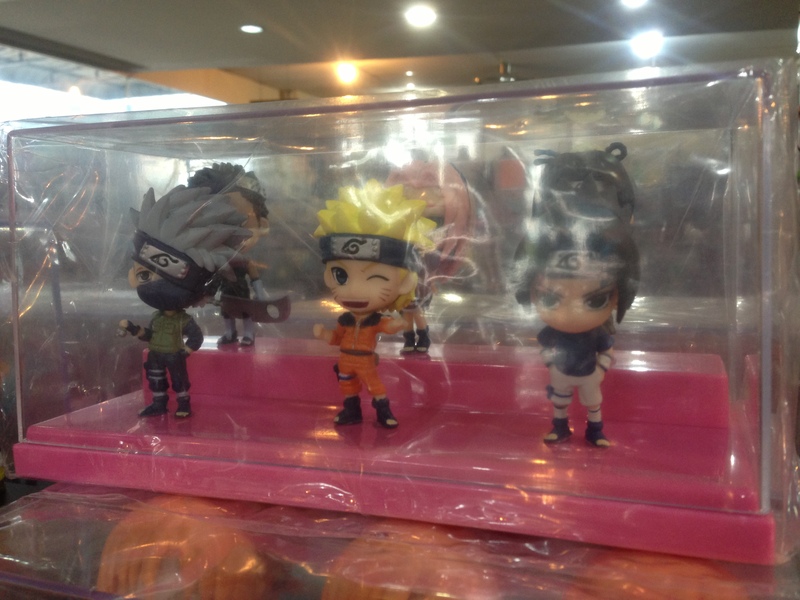 NARUTOOOO! but.. I left not much money to bring it home. I only change S$75 for my Batam trip! hahahaha! Budget tour! 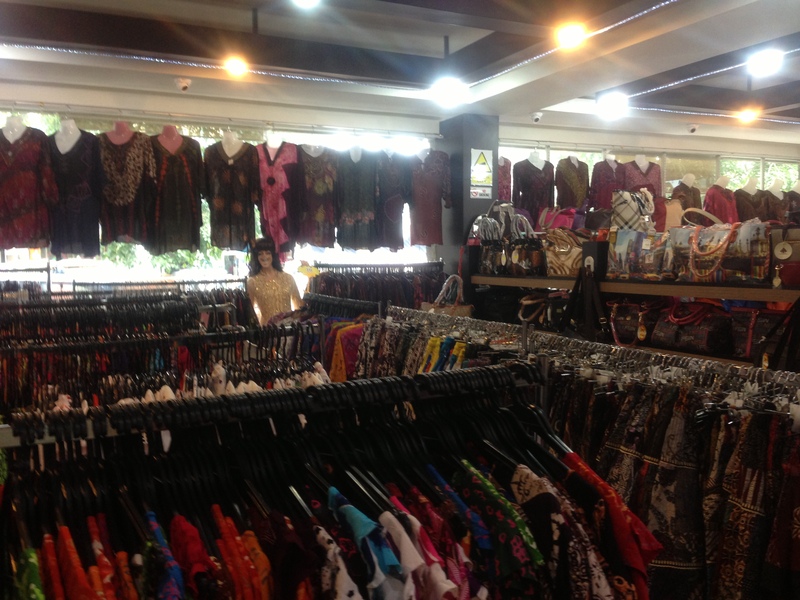 There is another factory outlet just a small road across this Batik Outlet but I did not manage to walk over! The road is under construction and I can’t cross over at all! T_T BUT neh-mind (nevermind)! There’s always next time! So now all shopping done and it’s now …. MASSAGE TIME! 60 mins of relaxation! Shiok! We took the lavender essential oil and added 30 mins more to our massage.. Ahhh~~ heaven! After our massage, we were being served the ginger tea! FINALLY WE ARE ALL CHECKED IN!!!!! BED!!!! I want my bed!!! Hotel is still as clean and big! And seeeeee!! A2 Food Center is just below us!! It’s still early that’s why you can see it’s still so empty! And BCS beside our hotel! And I was saying earlier, Gideon is in the same area right? 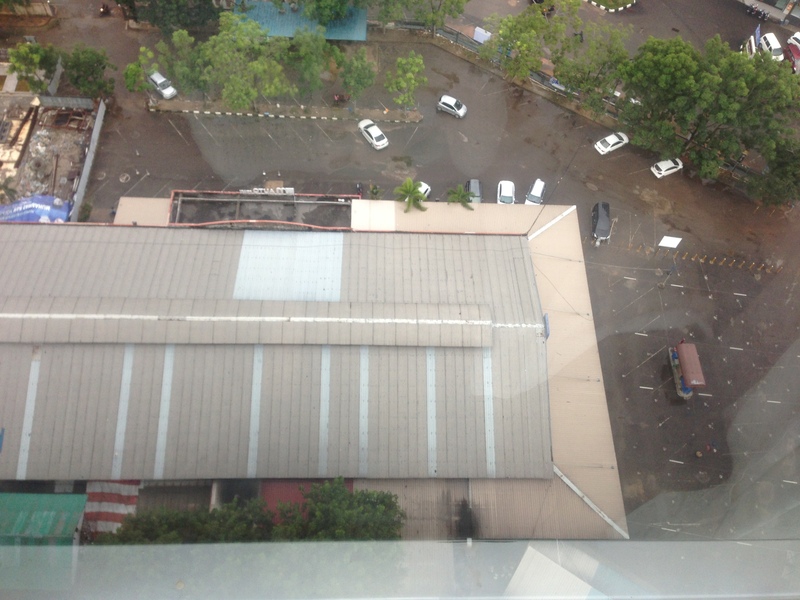 See… Gideon is just a road across A2 Food Center, that inverted L shape building! 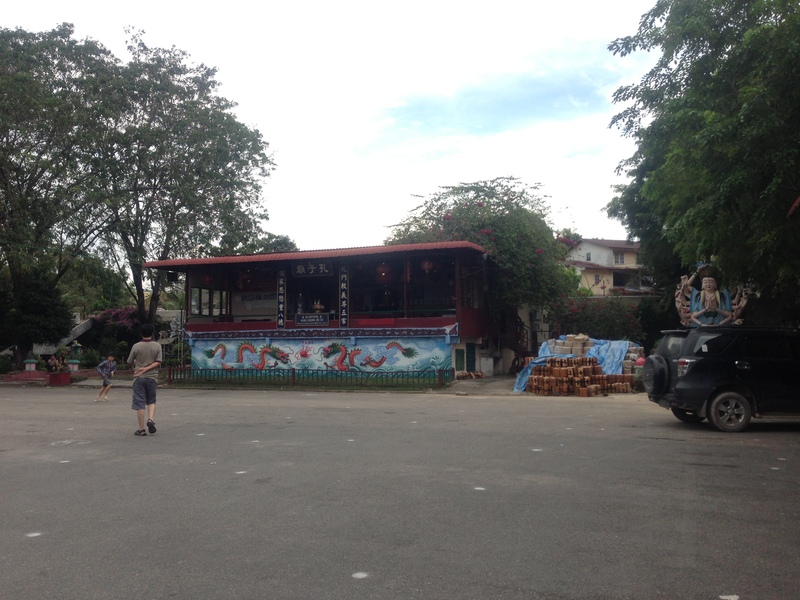 We planned to stay there next time as it’s nearer to their local wet market (the long red roof on the left of the pic) and other food stall that we wanna try! 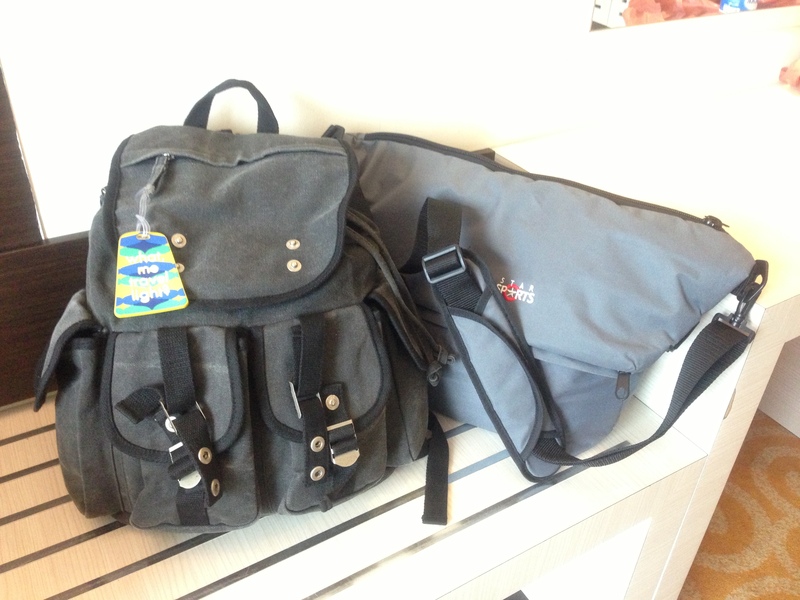 We still have some time before dinner so I packed my bag a bit and to show you what we’ve bought! We came in 2 small bags! Light and spacious! After all the shopping and shopping and shopping……. Mom bought these at the local wet market. It’s so much cheaper there and no tour guide commission! LOL! 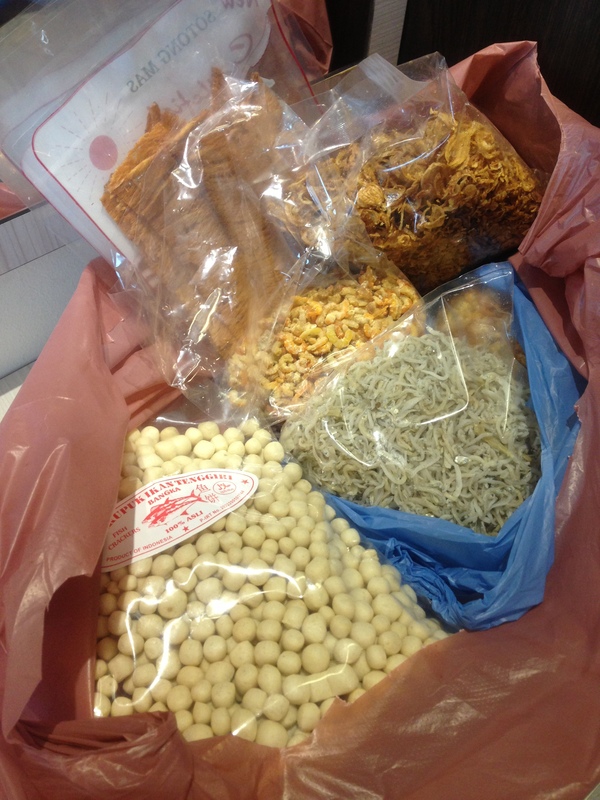 That mini fish ball keropok is a must buy! Very nice!! These are from the Chocolate house, remember? 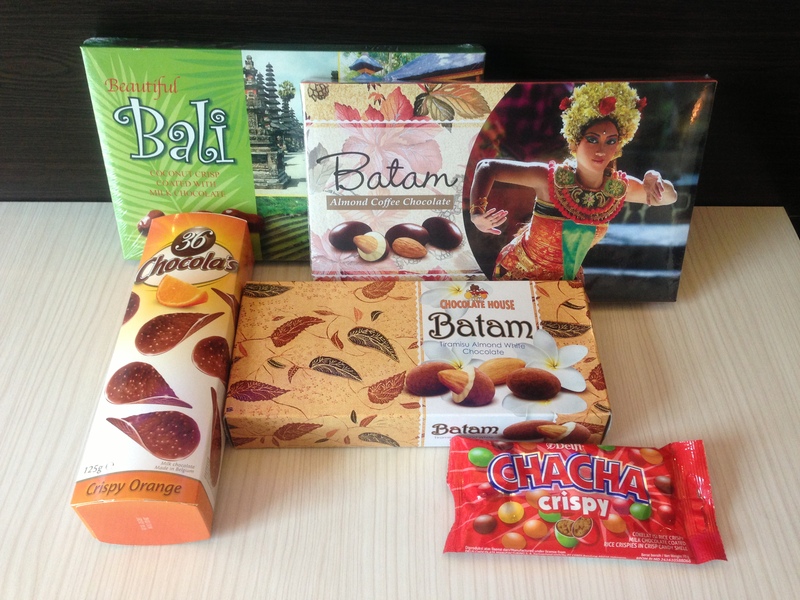 Delfi Chacha is available in SG so don’t bother to specially buy it there. I bought it because I wanted to eat it on the ferry back home! 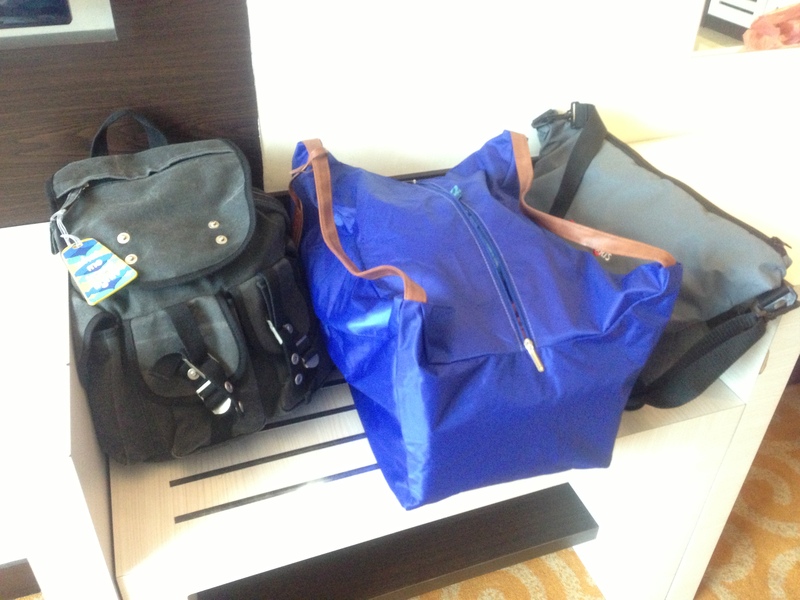 & these are actually what we bought during the tour.. and to squeeze everything into our bag is impossible! So it’s a good thing I brought an extra BAG along! SEEEEEE!!! we now have 3 FULL BAGS! Our layer cake is inside tooo! By the time we’re done packing and refreshing ourselves, it’s dinner time!!!! YAHOOOOO! A2 is definitely my heaven! If you ever go there, a few things you can’t miss out! 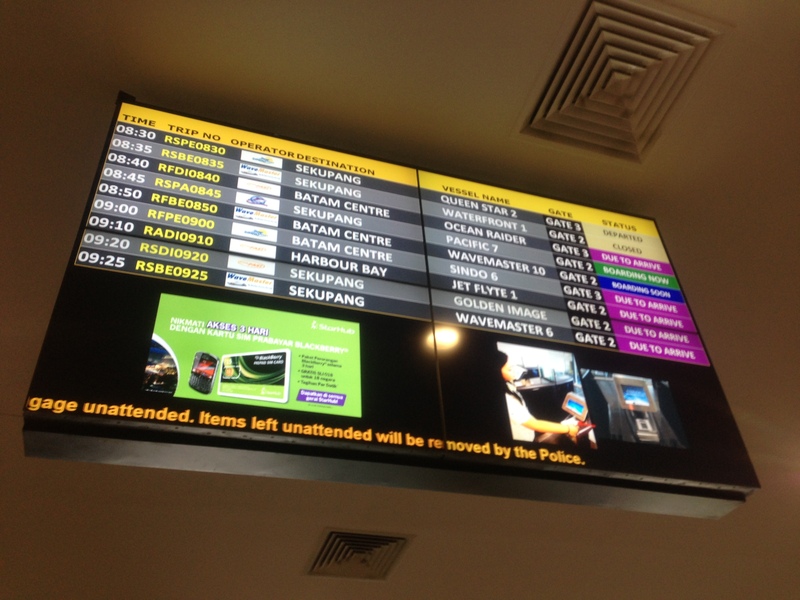 In another less than 12 hours, we have to say goodbye to Batam! 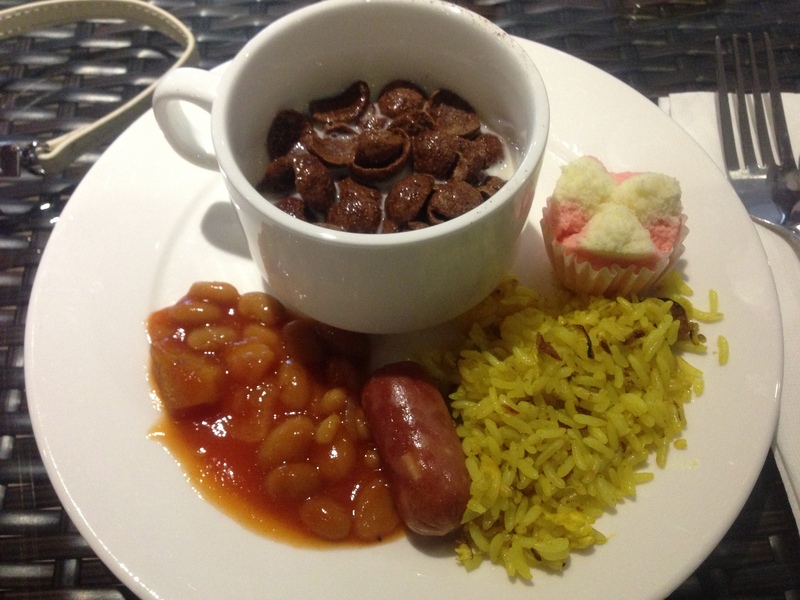 Next day, we woke up for our breakfast at the hotel restaurant. I must say.. their breakfast standard improved! They have more variety now and serve better quality. Can you imagine breakfast with smoke salmon in batam!? They have soy beancurd too! By 12pm, our ferry transfer is outside BCC ready to pick us up! 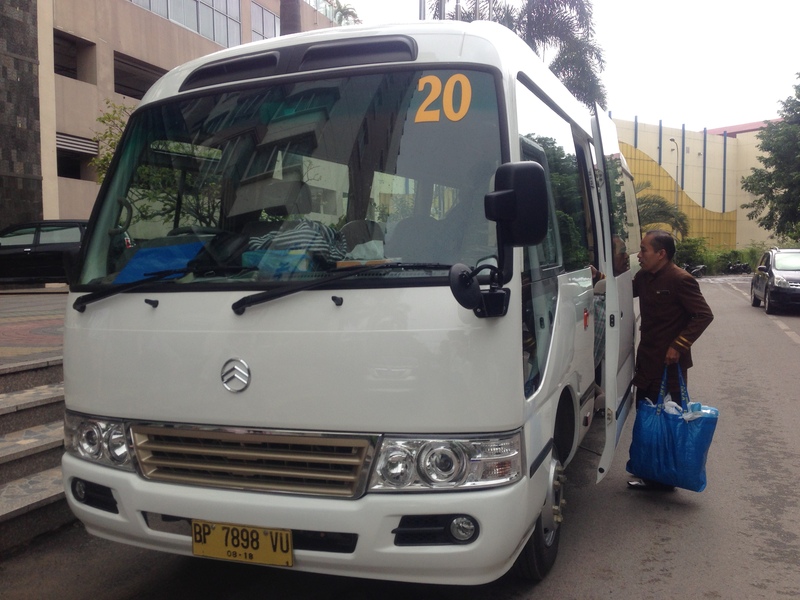 The hotel staff were very kind to help us carry our BIG BULKY bags up the mini bus! & I think we’re pretty blessed during this trip! Throughout the tour and our stay, the weather is just gloomy (cooling), at most. Just less than a minute after we board our mini bus, it started RAINING!!!! We were not caught in the rain, though was worried if it continue to rain are we gonna make it back home? …but WHY worry!? SEE! It’s sunny again by the time we reach the ferry terminal! During this trip, we met this two couple who were like us, going Batam for food and massage! 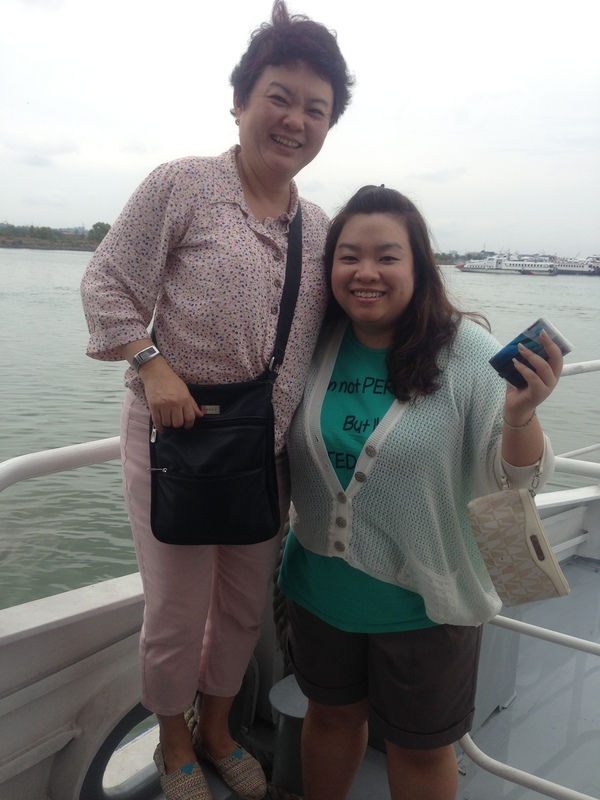 We exchanged our experience in the ferry and they shared some recommendations too.. 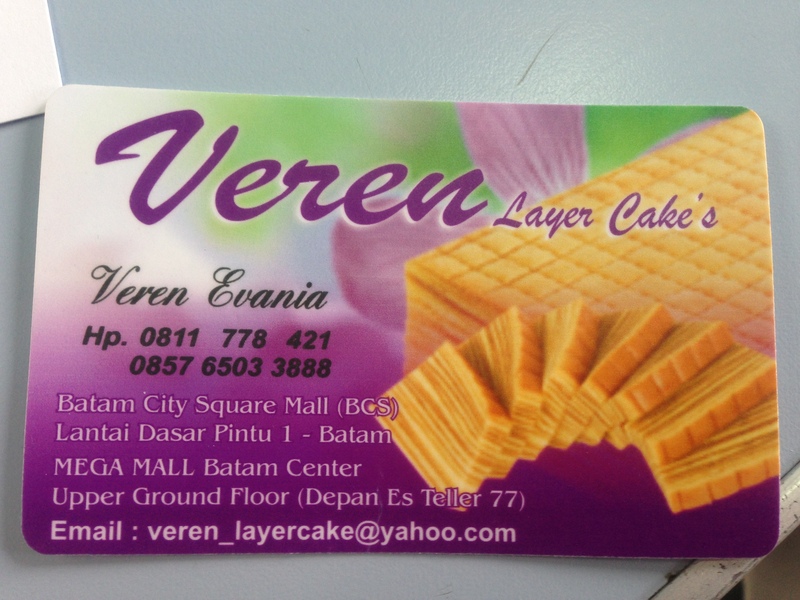 If you love layer cake and do not know how to go Diana on your own, your can try this Veren Layer Cake! 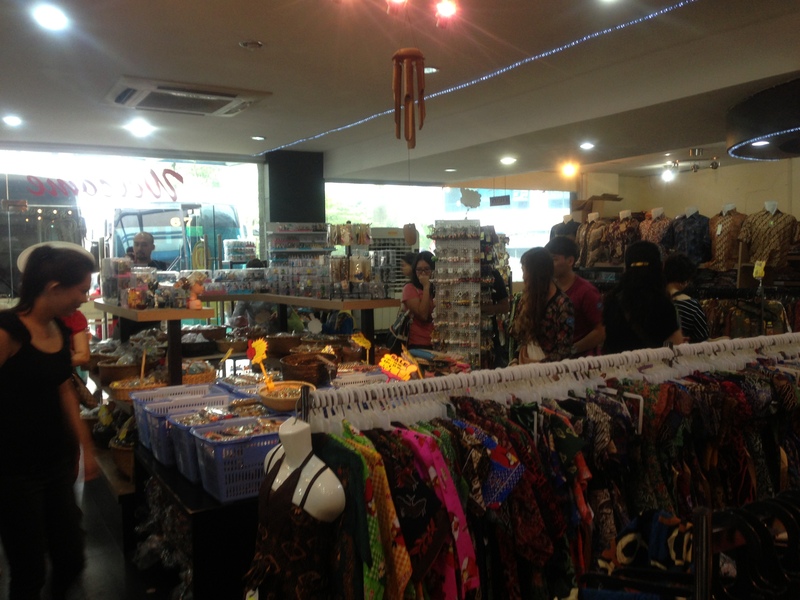 It is located just inside BCS Mall! I haven’t try but the uncle said this is better & cheaper! I mentioned earlier that Diana’s layer cake sampler taste not very fantastic right? When I got home and try the cake I bought.. It actually taste much better!! Not very buttery and it’s not oily too! guess the sampler were left outside for some time.. hmm.. Hopefully I will go back to Batam soon to try this! If you are looking for good massage, try Universal Massage! Located opposite BCS mall! Yes, everything just nearby! This area is really good! Good for food. Good for massage. Good for layer cake. Good for shopping! Uncle told us, if you walk in and ask “how much” for massage, they are gonna charge you a bomb! Instead, tell them that you were here before or friend recommended you here.. The price would be a great difference! This is madness cheap! 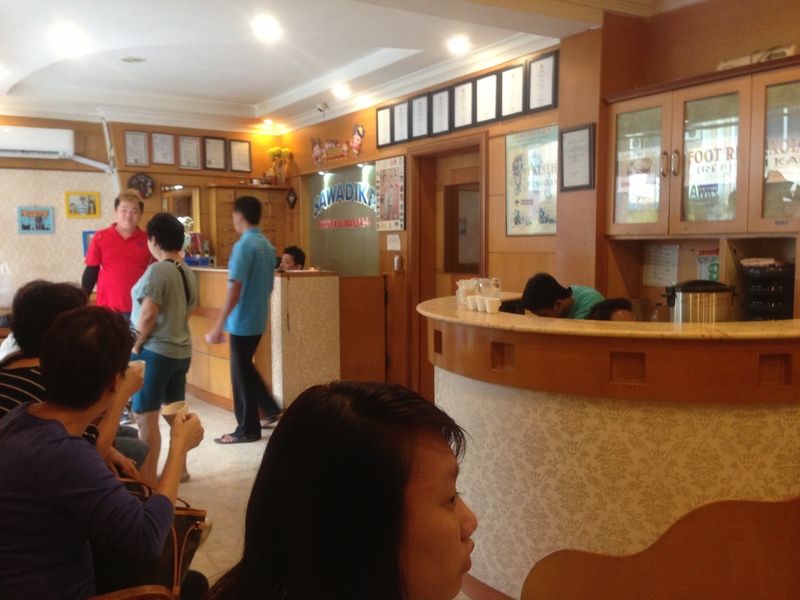 We paid S$15 for the essential oil + 30 mins extra massage! That is almost the cost of a 2 hours full body massage at Universal Massage! WTH! NEVERMIND! S$15 for a lesson! hahahaha!!! I have more recommendation (like bah kut teh, fish soup, etc) but I left the business cards at home! I shall share more with you when I get hold of those cards!! Apparently, like what I told Eve, I tried searching my room high and low but realised that I lost the Bah Kut Teh business card!! T__T Fortunately, the Bah Kut Teh has a very distinctive character that anyone could hardly forget, all I need to do is do a lil google search and I found it.. It’s Mickey Mouse 66 Bah Kut Teh – Address: Komp. Ruko Mitra Raya Blok B No. 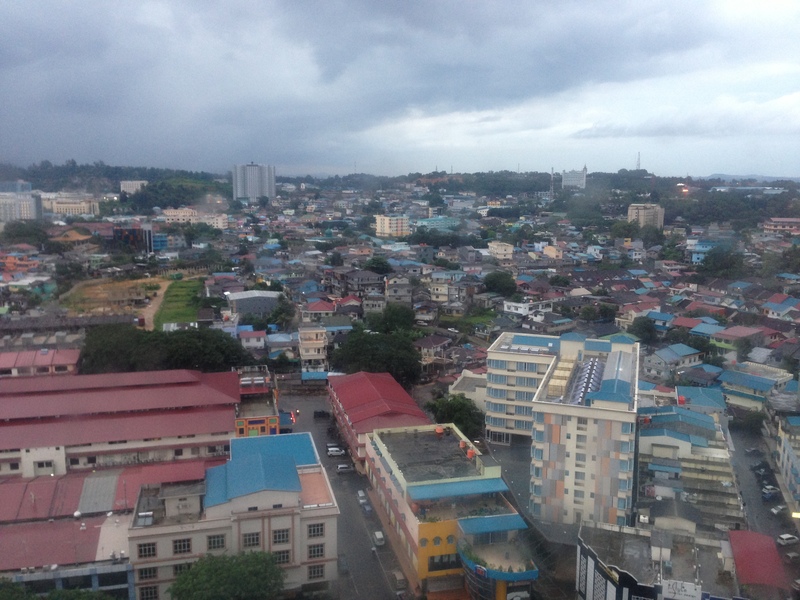 12 (Batam Centre), Batam, Riau.. If you have foursquare, do check out the location and u will see a few recommendation. If you’re keen in Fish Soup (cloudy soup with yam kind), do try the food stall just opposite BCS Mall (the eatery place is call Eaton). 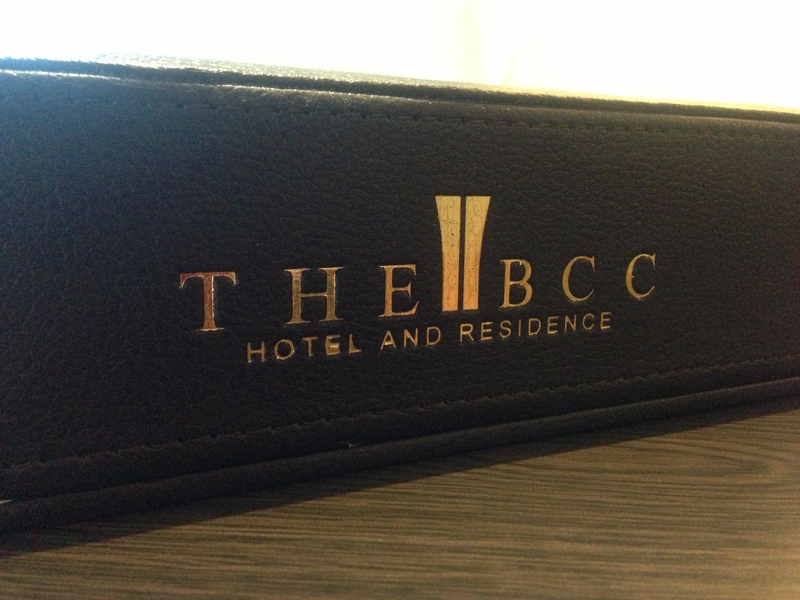 This entry was posted in Batam, Indonesia, The BCC Hotel by Tempted to Love. Bookmark the permalink. 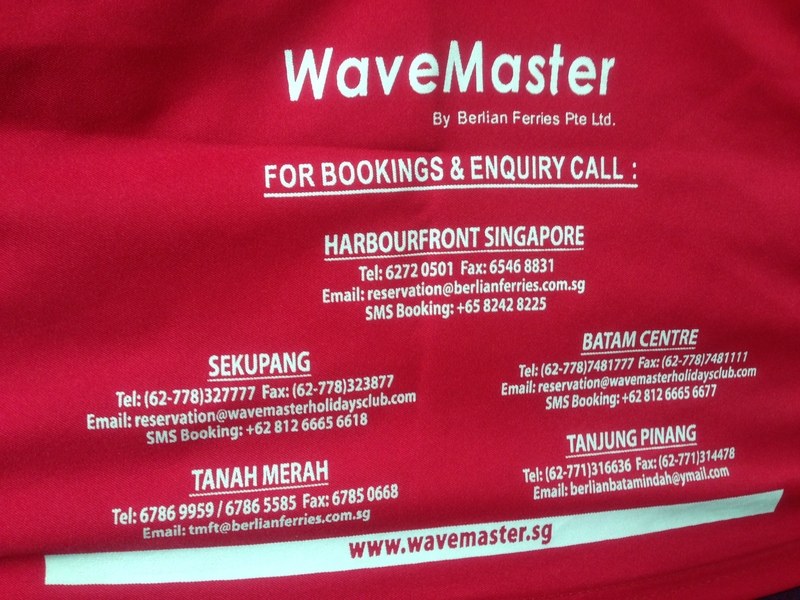 Hi, Jus saw your post bout ur trip in Batam. May i knw is it u book the trip from the Qoo10 thn they will provide a tourist guide for u n bring u all the places tat u mentioned in ur blog? there is some charges that i need to pay to the tourist guide? Thanks for the info! Really useful! Where to find the very nice bah kut teh that you mentioned? Hi Eve!! I tried searching my room high and low but realised I lost the business card!! However, the Bah Kut Teh has a very distinctive character that anyone could hardly forget, all I need to do is do a lil google search and I found it.. It’s Mickey Mouse 66 Bah Kut Teh! Address: Komp. Ruko Mitra Raya Blok B No. 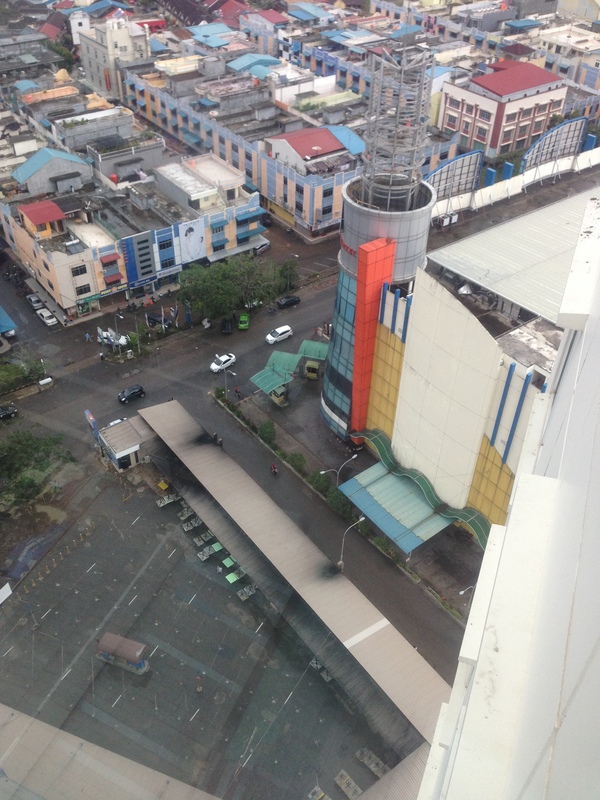 12 (Batam Centre), Batam, Riau.. If you have foursquare, do check out the location and u will see a few recommendation. If you’re keen in Fish Soup (cloudy soup with yam kind), do try the food stall just opposite BCS Mall (the eatery place is call Eaton).